So that made your day did it? Made my Day - Absolutely! "Made my Day - Absolutely!" What a anti American way to think! Anti-Americanism (also called anti-American sentiment and Americanophobia) is a sentiment that espouses a dislike of or opposition to the American government or its policies, especially in regards to its foreign policy, or to Americans in general. Are you referring to the Republican attacks on Obama? I do believe that the topic and the posts are clearly about the Trump/Kim meeting and the various reactions to it. Yes. Trump failed AGAIN! But at least he didn't do a Charlie Brown. That story was from Andrea Mitchell a left winger and her opinion. She does have a show on MSNBC...that is very telling. My point is when you cheer for our country to fail its very sad and that is what this thread is about. No one knows if the meeting was a failure...not even you. WASHINGTON — What happens when you hold a summit without doing your homework, and after ignoring warnings from your own intelligence chiefs that Kim Jong Un would never give up his nuclear weapons? Actually, one of them did have lunch - Kim Jong Un ate Trump's lunch, AGAIN. Trump once more sided with a dictator, this time over the torture and death of an American. Good job, Mr. President. All your trip succeeded at was furthering emboldening a long-standing American adversary, and gave priceless propaganda to North Korean state media, who are no doubt looping the clip of Trump proclaiming Un's innocence. Maybe one day the "stable genius" will learn who he's supposed to be representing. Your summit falls apart, as President Donald Trump's did early Thursday morning. The outcome suggests that the biggest mistake made by the president and his top advisers was agreeing to the meeting with the North Korean leader in the first place. 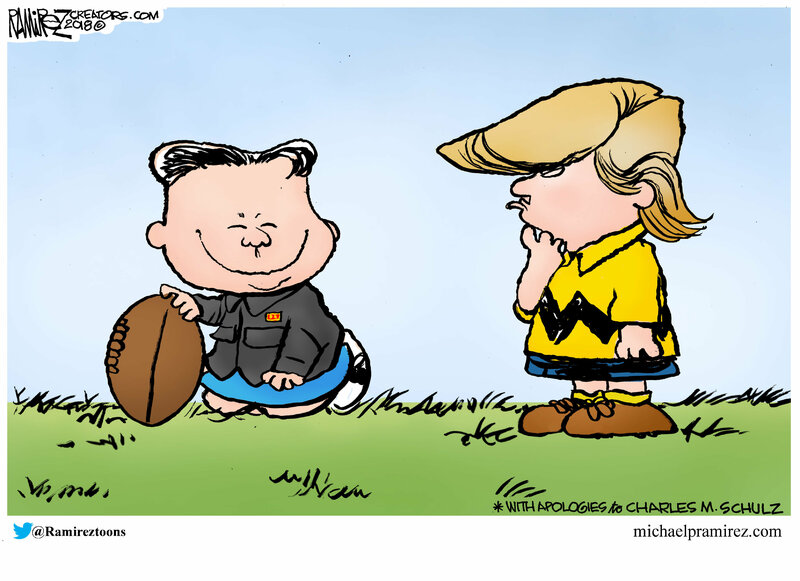 After last year's meeting in Singapore, which at times appeared more like a buddy movie than a serious nuclear disarmament negotiation, Trump was widely criticized for saying "there is no longer a nuclear threat from North Korea."